Our client, a leading global administration, management & corporate governance solutions business, is looking for a Senior Finance Accountant to join their finance department. Principle contact for overseas subsidiaries. Support group wide consolidation accounting. Production of financial statements for Group Legal entities. Accounting standard compliance (IFRS, FRS102, Lux GAAP). Maintain the group cost allocation model. Primary contact for audit fieldwork. Maintain tax compliance and reporting for all jurisdictions. Maintain robust and accurate regulatory reporting for regulated entities in multiple jurisdictions. Production and submission of Board packs (P&L, BS and ANLA), working alongside the management accountant for supplementary information. Support the financial controller with oversight of financial operations, including bank reconciliation , cash management and purchase ledger processing. GCSE’s in English Language and Mathematics. Experience or exposure to a financial management environment or similar. Financial accounting and preparation of simple financial statements. Knowledge of IFRS and UK GAAP principles. Advanced knowledge of Microsoft Excel and other Microsoft Office software. Understanding of controls in a financial reporting context. Strong numeric and analytical skills. Ability to communicate effectively with all levels of staff. Highly accurate with good attention to detail. 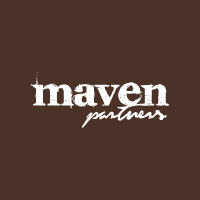 Simply fill in your details below and we will forward your enquiry to Maven Partners. We do not retain a copy of your correspondence or attached file(s) - they are passed directly to the advertiser.